Release Date: February 24th, 2015! Emmy has everything she’s ever wanted: a hot boyfriend she adores, great friends, a promising future, and even a well-connected family. But one night rips it all away. A car accident shatters her world, claiming the lives of her twin brother and her best friend. In the wake of the accident, her friends drift away, her family falls apart, and her boyfriend cheats. The grief is more than she can handle, so she finds escape at the bottom of a bottle of painkillers. Taking the pills makes her brother alive again, if only in her head. Seeing and talking to her brother as if he were still alive is the only thing that keeps her going. Until Logan King moves to town. Logan sees past the mask of pristine popularity she wears in public and he’s the only one who can tell she hasn’t moved on. His uncanny ability to read her forces her to open up and she starts to fall for him, no matter how unwilling she is to admit it. But Emmy isn’t the only one keeping secrets and when a close brush with death sparks events that bring everything to light, Emmy will have to decide what’s more important: learning how to forgive and move on, or holding onto the pills and the ghost of her past. Books like these are always so hard for me to read and review. They hit closer to home than any other stories. I knew The Ghost of You would be emotional, and although it was, it didn't impact me as much as I thought it would. I think a lot of it had to do with the main character. Although I liked Emmy, I wasn't completely connected to her story. She's not bad or anything, and I know a lot of her actions have to do with her grief and her brother and not wanting to lose him again. I understand. So. Much. I could not imagine losing one of my brothers, and I would probably want to do everything possible to see them again. She had a low of growth to go through; she made mistakes, hurt people she loved, couldn't move on from Derek's death. She didn't even want to try, because she thought living without him would destroy her. But with the arrival of Logan King, Emmy starts to live again. And she had to decide between letting go and looking forward to a bright future or holding onto Derek and losing the people she cared about. The people who were still alive and who loved her so much, even if they couldn't show it. I thought the romance was sweet, though I wish it'd been just a *bit* more developed. Logan helped her find the will to live again, but Emmy couldn't let go of Derek. She didn't want to lose them both, so it ends up creating a rift in their relationship. One that makes them stronger together, after everything they go through. There were quite a few secondary characters, and I'm glad they were all fleshed out well (though, I think I would have liked a less perfect reunion with her and her parents because it didn't feel that believable to me). I really loved Skye, and how she was always there for Emmy, even when she wasn't being a good friend. There was a bit of drama with other people, but it never felt irrelevant. Everyone was grieving in their own way, and it leads to fights and arguments and broken relationships. This was very much a character-driven novel, so sometimes not much was happening. But I was never bored with the story-line. It was a book about tragedy and grief and healing. It was about moving on from the past and looking toward the future. But most of all, it gave the message that you should never stop living. 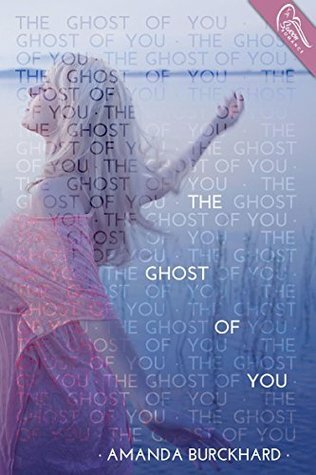 The Ghost of You was about one character's journey of losing her brother, realizing she was hurting herself and others, and finding what it means to really live again. Amanda loves to travel and cross out things on her adrenaline packed bucket list. Some of the things she's been able to cross out include see an active volcano erupt, ride a gondola in Venice, and pet a tiger. I have seen this book advertised around a lot, but this is the first review I could see of it, so that was refreshing! Grief is a hard thing to deal with and can be hard to write realistically as well. It seems like the author did a good job in that department although there were some things, like the romance, where you wanted a bit more. Good review! Snark from the Ark: Episode 2.13 "Resurrection"
2015 Love-a-Thon Mini-Challenge #5: High Five! Snark from the Ark: Episode 2.11 "Coup de Grace"